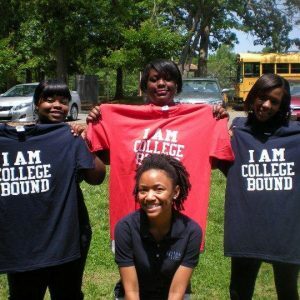 The Carolina College Advising Corps aims to help low-income, first-generation, and under-represented students from North Carolina attend college by placing recent UNC-Chapel Hill graduates as college advisers in selected public high schools throughout the state. Advisers assist students with admission, financial aid, and scholarship applications. Recent graduates serve as advisers, which allows students to more easily develop relationships and trust. Less than 50% of low-income students admitted to a post-secondary institution end up enrolling. And less than one in 12 graduate. Advisers focus on fostering a college-going culture at their schools to boost enrollment rates. Advisers help students identify and apply to post-secondary programs that will best serve them, both academically and socially.